Cool collars & leads for your dog! 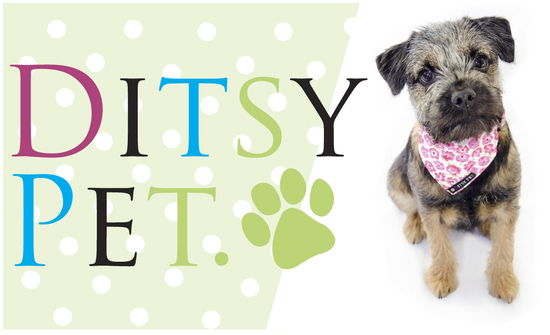 Ditsy Pet is a delightful range of dog collars, leads and accessories, we even do cat collars! Each and every one of our items are hand-crafted in our Nottingham workshop from start to finish, using fun and fashion-based fabrics. Founded in 2011, here at Ditsy Pet we pride ourselves on offering fashionable yet functional pet accessories, all our collars and leads contain a strong webbing with a fabric outer and are washable too! We're always bringing out fun new styles so your dog can be the trendiest pooch on the park. Our office hounds Sebastian Beagle and Hugo the Boxer are chief testers, nothing makes its way into our store without their approval. We hope you enjoy browsing our collections and love them as much as we do.